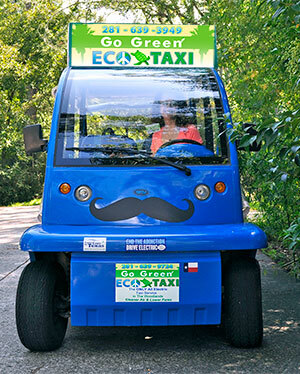 Eco taxi is available for your corporate event or private party. 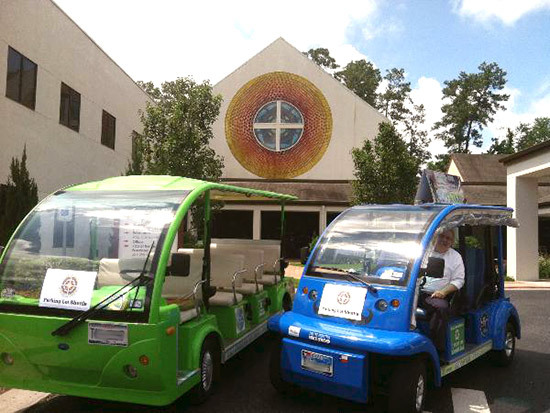 Our awesome drivers and Electric Vehicles can be booked for your event, starting at only $99! This dedicated shuttle service is perfect for wedding receptions, business conventions or holiday parties where the guests need to come and go from a parking lot or second event location. Just call us to discuss your specific needs and we can arrive at your event prepared to impress your guests, in green style. 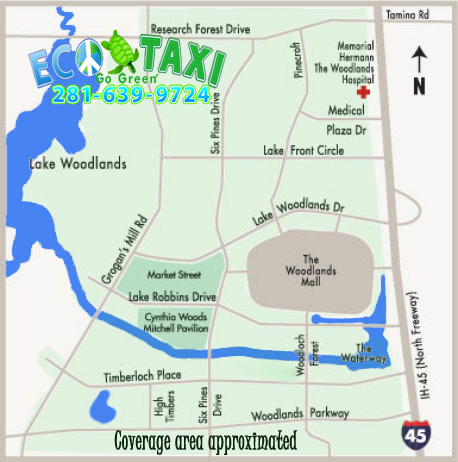 Go Green Electric Taxi service area includes all of The Woodlands. We are offering SAVE THE PLANET parties for kids! These green themed parties will include a ride for the whole party in the Go Green Eco Taxi, around your neighborhood to show off your true color – GREEN! We can also include games and party favors to highlight your green theme. The kids will have big fun while learning a few fun facts about our precious planet. Be the first one on the block to book a Save The Planet party. GO GREEN! Tickets prices range from $5 to $10 per person one way depending on distance.. Transportation in and around The Woodlands Mall, Town Center, Market Street, Waterway Square, The Cynthia Woods Mitchell Pavilion, East Shore and the village of Grogan's Mill.